View more selections from our featured tour partners here. Any MGM Resorts Concierge desk is happy to assist with arrangements for exciting Las Vegas and Grand Canyon tours, scenic day trips and other wonderful excursions. Enjoy Las Vegas from the best view possible – the sky. 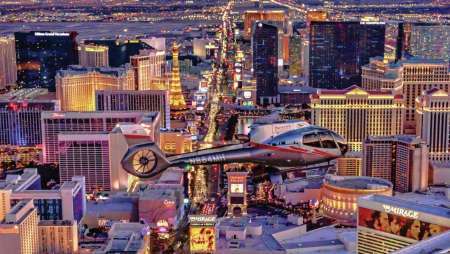 Fly high above the Strip as you witness stunning views aboard a luxury helicopter. Soar high above the Las Vegas Strip as you witness iconic landmarks such as the Bellagio and Aria from the comforts of a luxury helicopter. This flight provides the best view of Vegas from a bird’s-eye view. 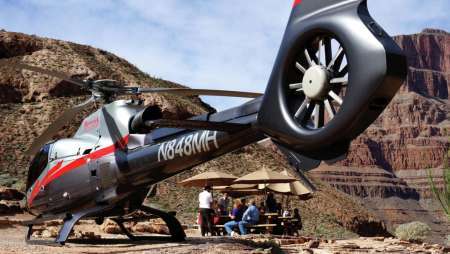 Experience a Best-of-the-West helicopter excursion over the Hoover Dam, Lake Mead and conclusion over the Las Vegas Strip. Get your camera ready for once-in-a-lifetime views of the iconic Hoover Dam, Lake Mead and the world-famous Las Vegas Strip aboard a luxury helicopter. Fly to and land in the bottom of the Grand Canyon. 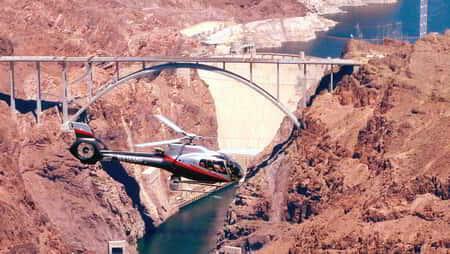 Aerial helicopter highlights include the Hoover Dam, Lake Mead and conclude over Las Vegas. Check the Grand Canyon off your bucket list with this exhilarating flight to the bottom of the Grand Canyon. 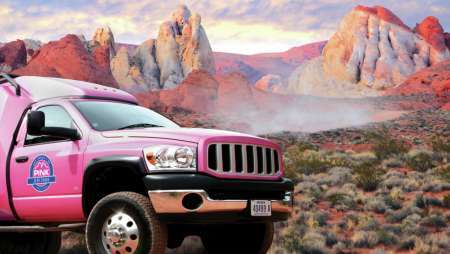 Enjoy breathtaking views of Lake Mead, the Hoover Dam, the Mojave Desert and the Las Vegas Strip. 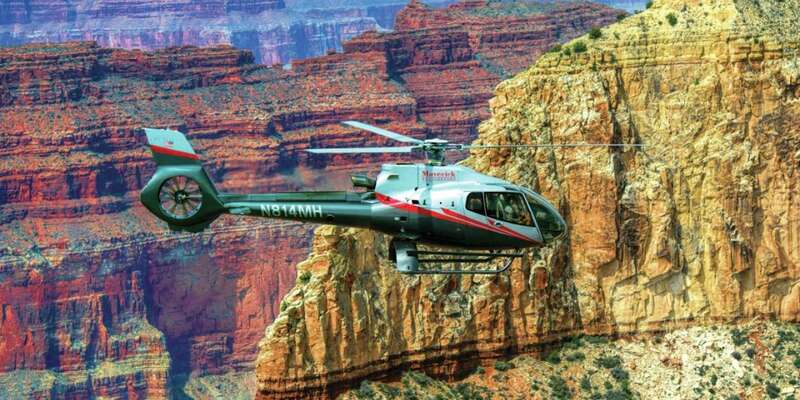 Fly to Grand Canyon West and the iconic Skywalk on this direct helicopter experience. Enjoy VIP admission to this glass bridge overlooking the canyon. 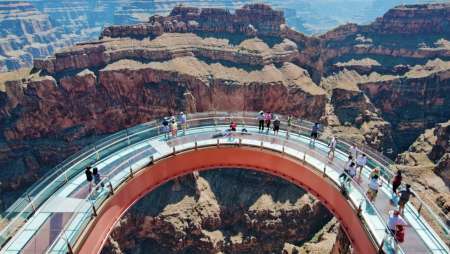 Enjoy the most efficient way to experience the stunning Grand Canyon Skywalk. Fly in a luxury helicopter with views of Las Vegas and the Hoover Dam in addition to VIP admission to the Skywalk. 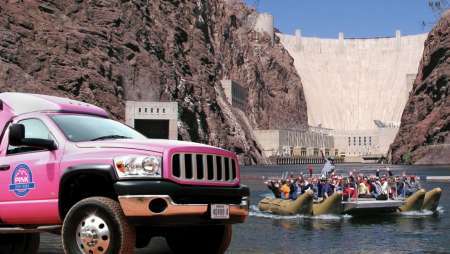 See Hoover Dam in a custom Trekker and the river below. Semi-private or private with certified adventure guide. Float on the river below and gaze up at two engineering marvels: the Hoover Dam and new bridge. Then tour the dam itself, including views and the power plant inside. Price: $175 per adult. Subject to change. Vegas sizzles at night! 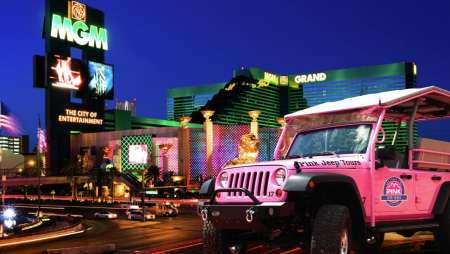 Cruise the Strip in an open-air Jeep. Fun and views! Semi-private and private guided tours. Highlights include the volcano at The Mirage, the Welcome to Fabulous Las Vegas sign, and Fremont Street Experience in historic Downtown. With a certified tour guide. Price: $79 per person. Subject to change. Hours: 6:30 p.m. PST, Sun. – Thurs. Buckle up for an exclusive off-road 4-wheelin’ adventure! Semi-private and private tours with a certified guide. Fun and informative, your guide is more than a driver. An expert in geology, plants, wildlife, and history of the area. Go beyond the glitz and glamour. Explore with us! Price: $129 per adult. Subject to change. 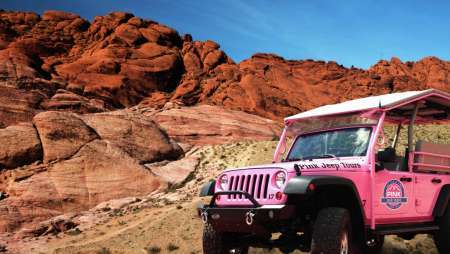 Ride in a custom Trekker to this red rock wonderland. Semi-private or private tour with certified adventure guide. Gorgeous overlooks like Rainbow Vista and White Dome, historic stop at The Cabins, plus prehistoric rock art and a drive-by at Elephant Rock. Unforgettable photo ops! Price: $169 per person. Subject to change. Drive 2 amazing supercars for 5 laps each on our 1.2 mile racetrack with one-on-one coaching. 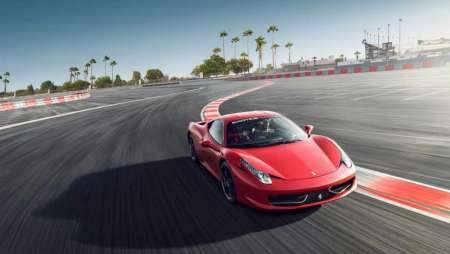 During that experience, you will get behind the wheel of a Ferrari F430 F1 and a Lamborghini Gallardo. Price: $548 for 10 laps. The Drifting Ride-Along experience is truly an adrenaline shot! Exotics Racing's professional drifter will take you as a passenger for the full-speed drifting experience. Onboard the Dodge Charger SRT Hellcat, you will feel the rush of the 707hp V8 like nowhere else. The ride-along experience will amaze you with skillful racing techniques. 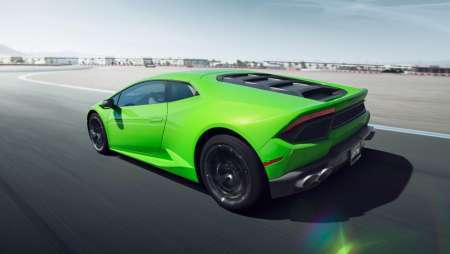 This supercar is fully mastered by our expert racing drivers and it shows it on the racetrack! Buckle in for the adrenaline-pumping ride of your life! Price: $99 for 1 passenger, $149 for 2 passengers or $199 for 3 passengers. Drive our 2 best-seller supercars for 5 laps each on our 1.2 mile racetrack with one-on-one coaching. 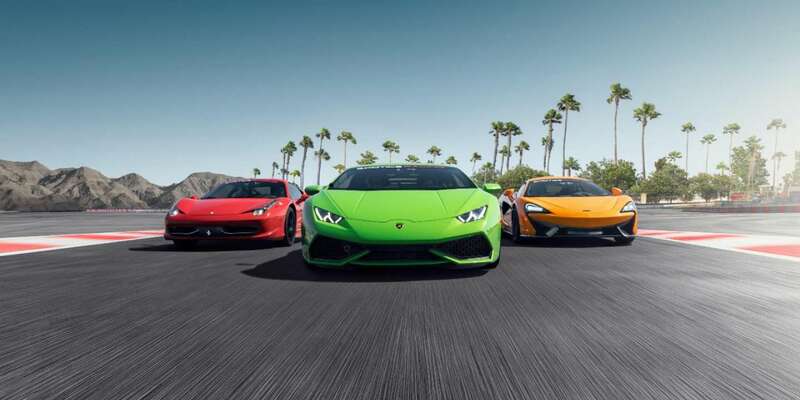 During this experience, you will get behind the wheel of a Porsche 991 GT3 and a Lamborghini Huracan.